50' x 124' R-C2 Lot located on one of the best streets in Altadore! Only 4 blocks from River Park/Sandy Beach & 1 Block to Altadore Elementary. 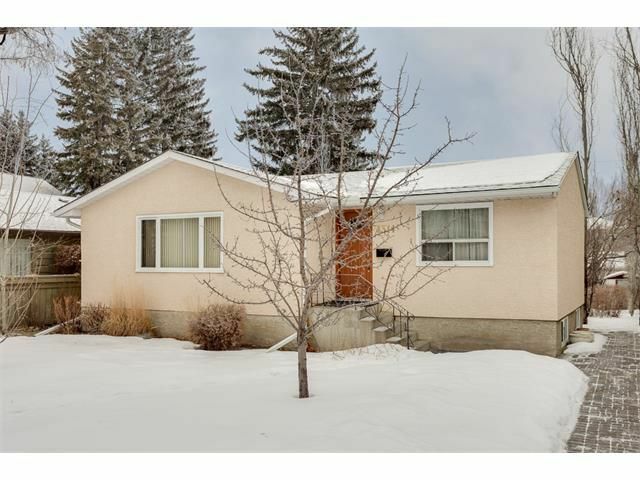 Beautiful flat lot surrounded by new builds both over sized singles & semi-detached. The home on this property is in fantastic shape, nicely updated and very comfortable. Open living room / dining room plan with large windows and hardwood floors. Kitchen is updated with white cabinets & granite counters. The Master is spacious & features a walk-in closet / dressing room. Large 4 piece bath on main with soaker tub. The lower level offers a family room, 2nd bedroom. full bath & laundry. Hardwood floors throughout main & most of basement. Windows have been replaced, Roof 2008, Carrier furnace. The yard is fully fenced & private with poured patio and single garage. Great opportunity to build or invest. Call today! !